Here’s something you may not have noticed before – most Windows 8.1 tablets that are currently on the market are loaded with the 32-bit version of Microsoft’s latest operating system despite the fact that they carry 64-bit processors. That’s about to change, however, according to at least one source familiar with the matter as reported by CNET. As the publication points out, Dell, Hewlett-Packard, Lenovo and Samsung all offer Windows 8.1 slates powered by Intel’s Bay Trail (Atom) CPU but oddly enough, these machines have all included 32-bit versions of Windows 8.1. Why is that, exactly? The main reason that most users opt for a 64-bit installation is to be able to use more than 4GB of system memory. That really hasn’t been a concern just yet for tablets as they don’t pack a ton of RAM but as Nathan Brookwood, principal analyst at Insight 64, points out, there’s demand for 64-bit tablets from IT organizations that want to standardize on 64-bit images and 64-bit apps. True enough, the first wave of Bay Trail slates were largely marketed as consumer-level devices. The next batch is expected to target business customers, hence the push for 64-bit Windows. 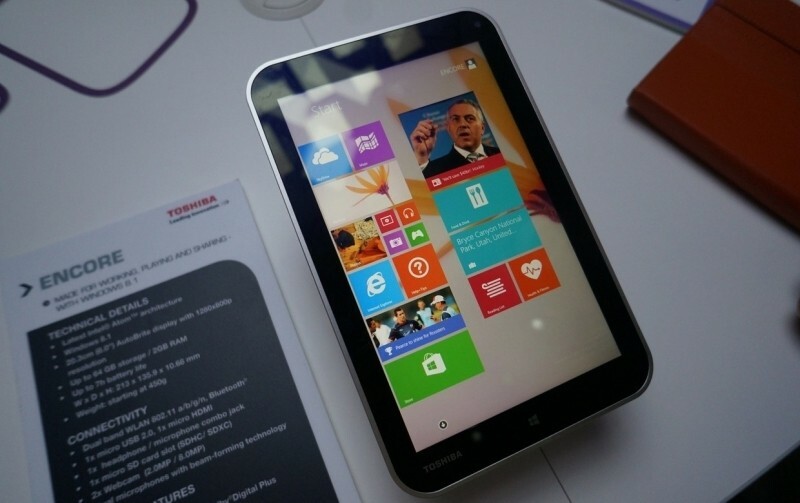 And at least one major PC maker is expected to introduce a 64-bit tablet at Mobile World Congress later this month. Dell also told the publication they would be rolling out 64-bit OS support for the Venue 8 Pro and Venue 11 Pro tablets running Bay Trail later this year. Additionally, Microsoft confirmed there will be multiple Windows 8.1 devices running 64-bit on Atom as well.